This meal is so simple and easy. Not only that, it’s healthy for you but tastes like major comfort food! 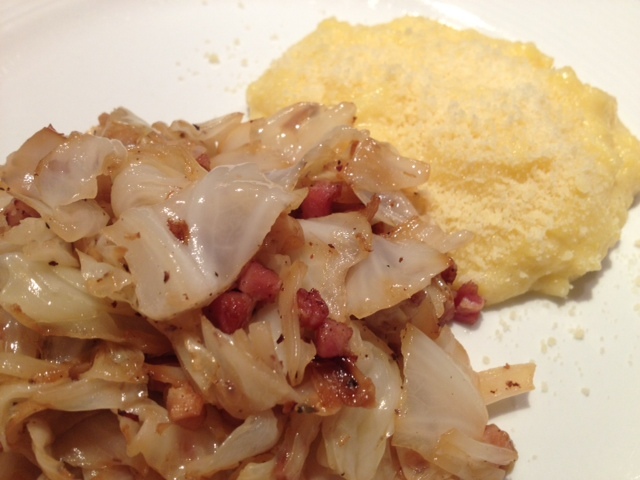 The cabbage is surprisingly yummy and pairs very well with the creaminess of the polenta. Give it a try! Boil 6 cups of water in a large pot. When the water is boiling, reduce the heat and slowly add in the cornmeal while stirring. 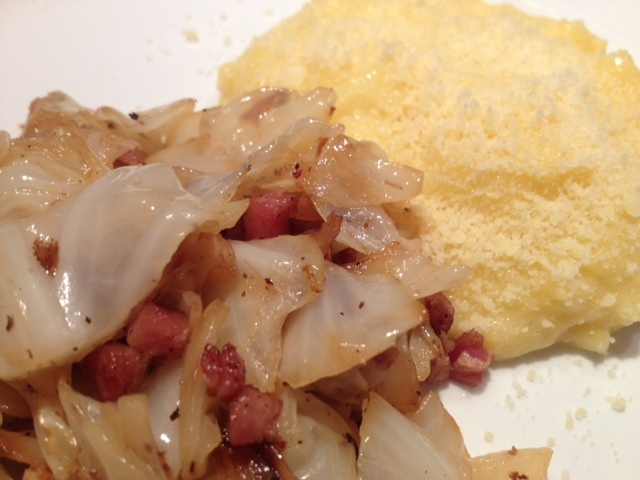 Stir vigorously to remove any lumps while the polenta thickens. 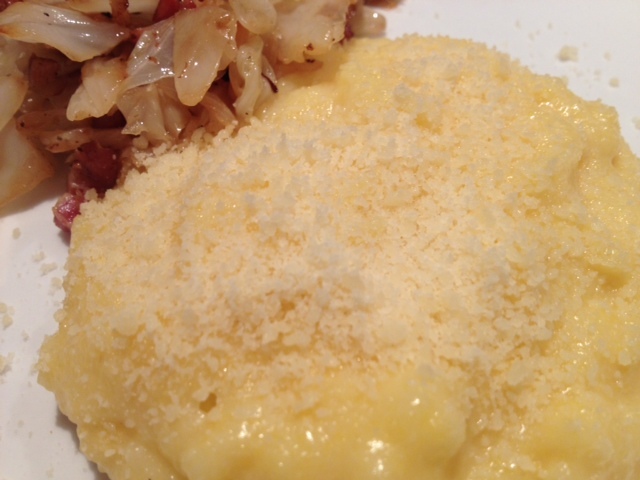 Cook for about 15 minutes and when the polenta has thickened, add 2 tbsp of light butter, a dash of garlic salt and parmesan cheese. In a large pan, heat 2 tbsp of olive oil on medium heat and add the pancetta. 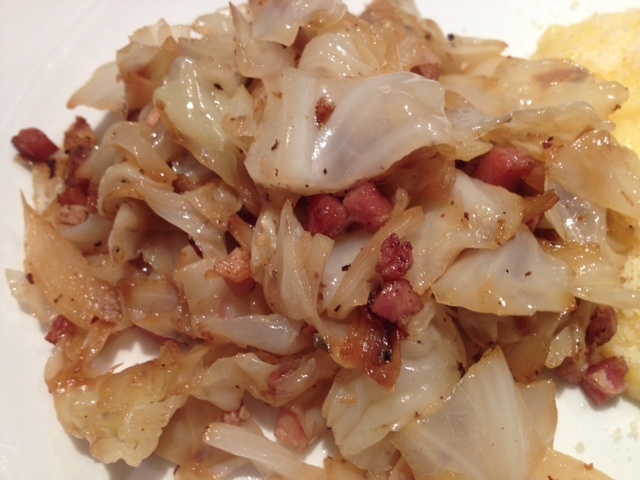 Cook the pancetta for about 7-10 minutes until it has browned and then add the diced cabbage. 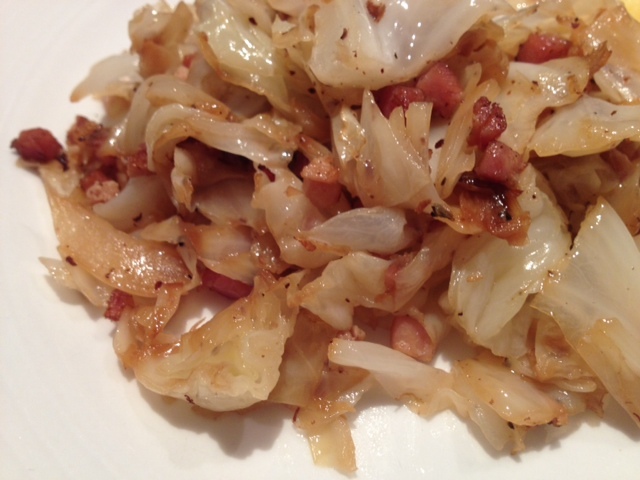 Continue to cook the mixture for about 20-30 minutes until the cabbage has reduced down and browned. Add salt and black pepper. 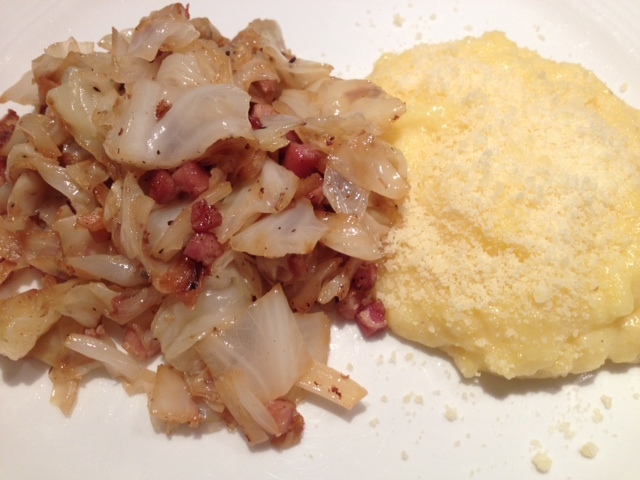 Serve hot with a spoonful of polenta! ← A Fancy French-Vietnamese Lunch.